I am so excited to start a new school year with my kids. Although, to be honest, I’m also a little nervous! This is the first year I’ll be teaching 3 of my kids at once and I have no idea how our new routine will play out. But I’ve been working hard this summer to plan and prepare to make the transition as smooth as possible, and we’re almost ready to start! 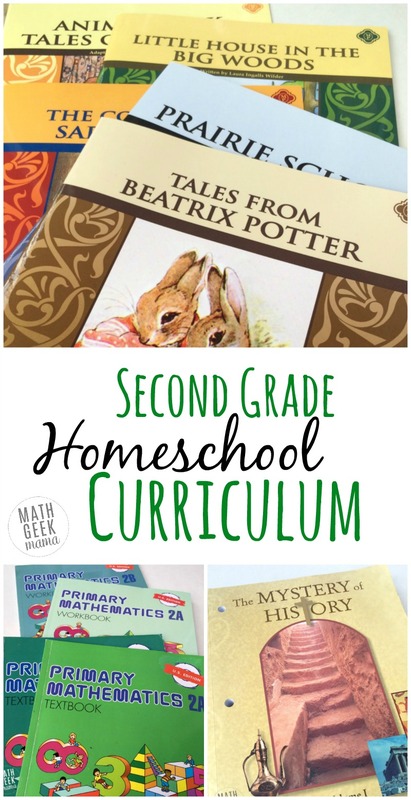 Because I love reading about other families’ curriculum choices, I thought I would share mine here. Maybe this will give you some ideas for your own family, or introduce you to curriculum you’ve never heard of. Either way, here are our second grade homeschool curriculum choices. As I shared last year, we love using the Memoria Press literature guides. I will be continuing this year with their second grade curriculum, and we’re so looking forward to the great books we’ll read! 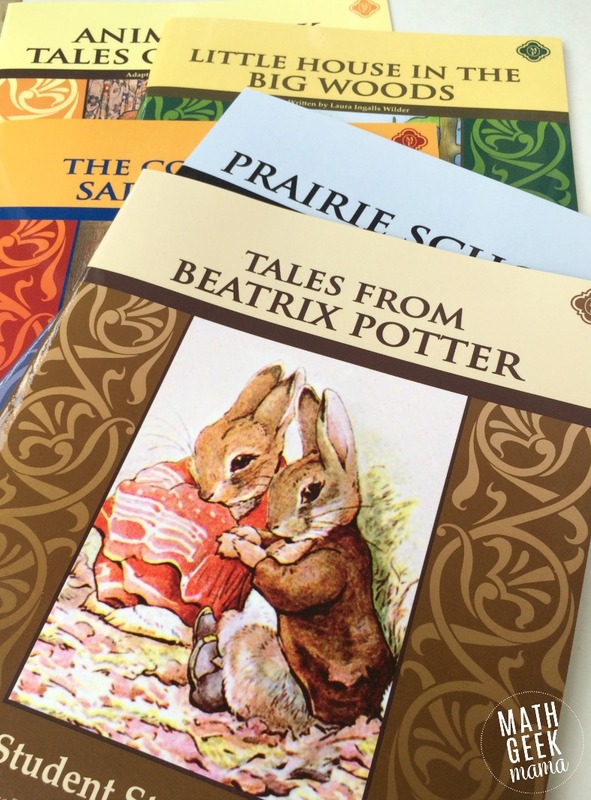 This year we’ll read classics from Beatrix Potter as well as Little House in the Big Woods (and more). I love the literature guides because they are so easy to use, encourage vocabulary and comprehension, and make planning simple for me. We’re also continuing with All About Spelling this year. We’ll probably spend the first week or so reviewing the words and rules from level one, but then we’ll dive into level 2. 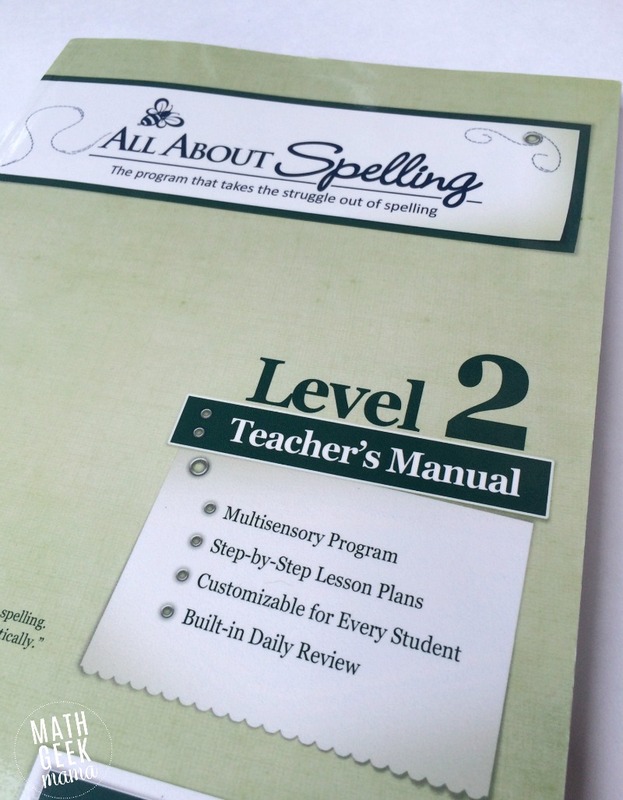 This program has also been super easy to use and has helped my daughter tremendously with her spelling. We have a set of magnetic letters that we use to practice before writing the words out on paper, and she loves it! In addition, I have a daily language review workbook that is great for reviewing all kinds of language skills. It’s short and sweet, and gives her some independent review practice each day. I also have several Explode the Code workbooks, so some days I will probably change things up and let her work in these. Luckily, I found several at our homeschool curriculum fair for $1 a piece! This year we’re going to try something brand new to all of us: latin. I feel like this will be helpful in future language learning, so we’ll give it a shot! 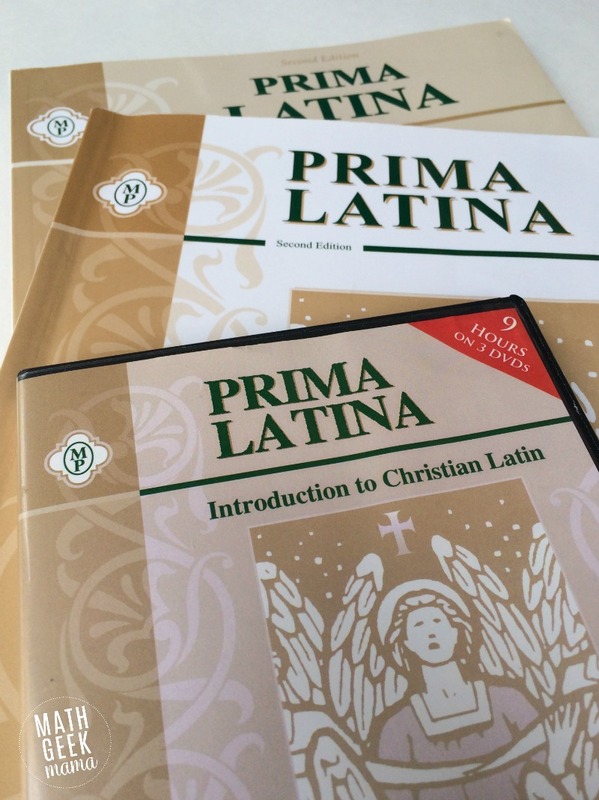 We’ll be using Prima Latina which is also from Memoria Press. I don’t know any latin, so this is going to be an adventure. 😉 But this curriculum has received great reviews and is written specifically for young children. So I’m excited to give it a try! 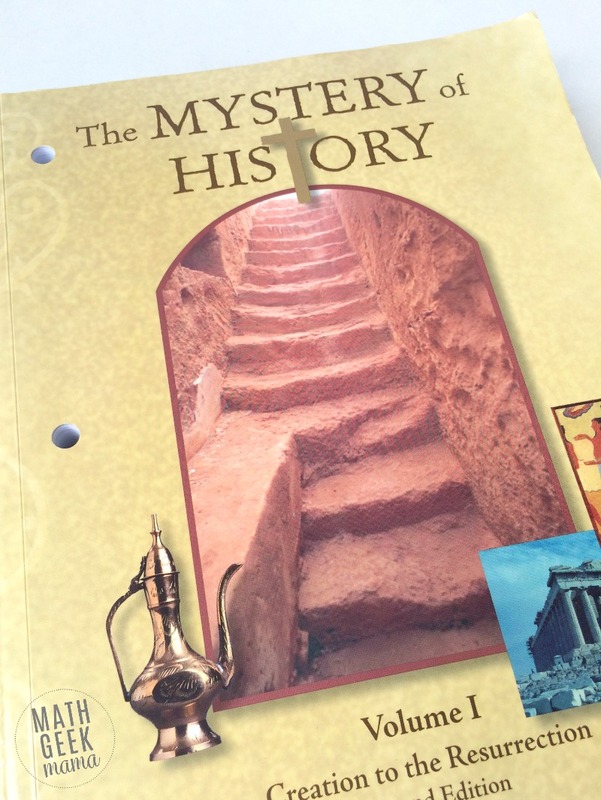 This year I’m going to spend some time each day reading through The Mystery of History, Vol. 1. I’m excited to read through this with my kids and learn along side of them. I love history, but struggle to remember and keep track of dates, people, places, etc. 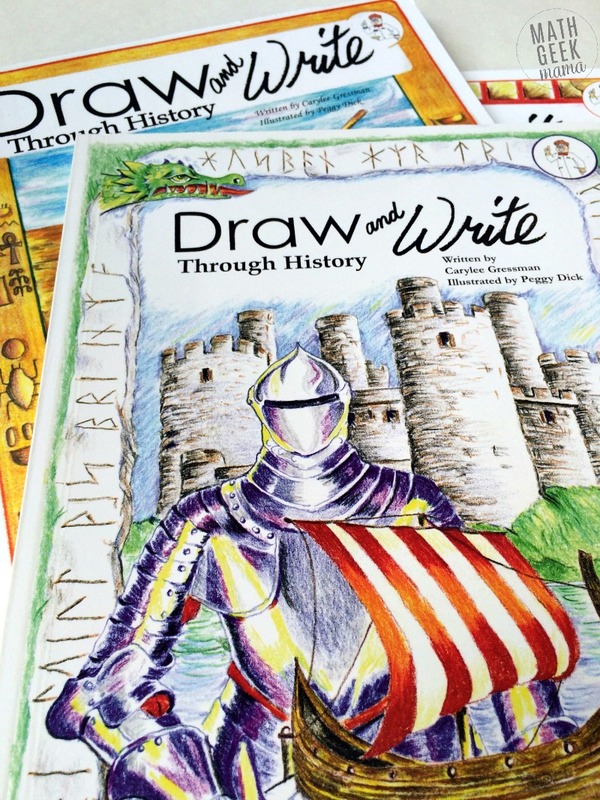 They include cursive copywork summaries that she can use to practice her cursive handwriting, which she enjoys. (Last year, I taught her cursive with this simple to use New American Cursive workbook). Last year, I worked through the Singapore grade 1 books with her. I saw such tremendous strides in her understanding and number sense, we will be continuing with Singapore this year. I am completely in love with this program, and she loves that the workbook pages include fun review and practice. 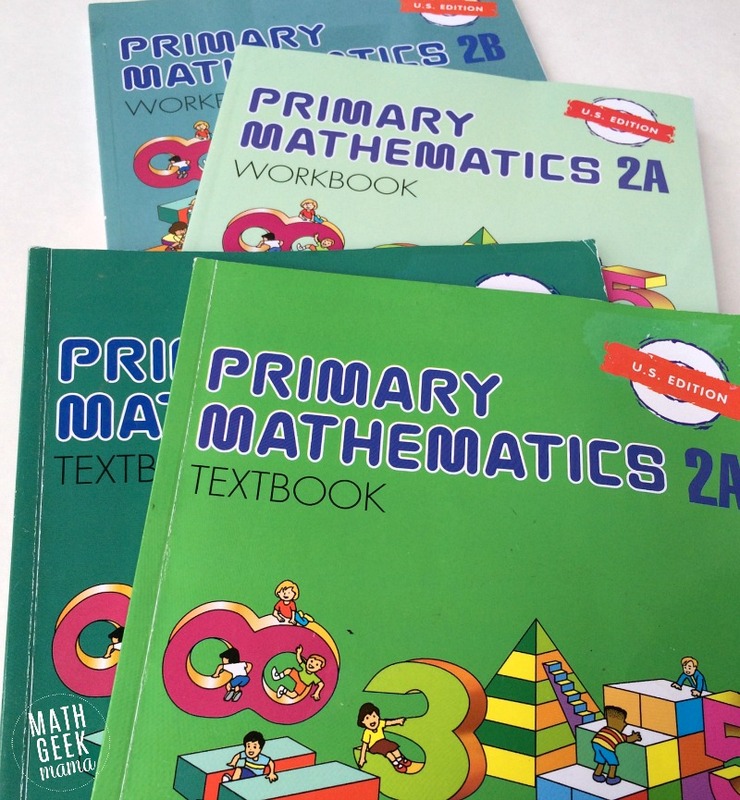 If you’re interested in Singapore math, you will need the textbooks (A and B) as well as the student workbooks (A and B). Also available are “Home Instructor’s Guides” (A and B). If you don’t feel confident teaching math or switching to this curriculum (which doesn’t include much explanation in the textbook itself) I highly recommend purchasing the instructor guides. Because my kids are still young, we don’t have a formal science curriculum. Instead, I pull from a variety of resources, or encourage impromptu science lessons based on things that interest them. 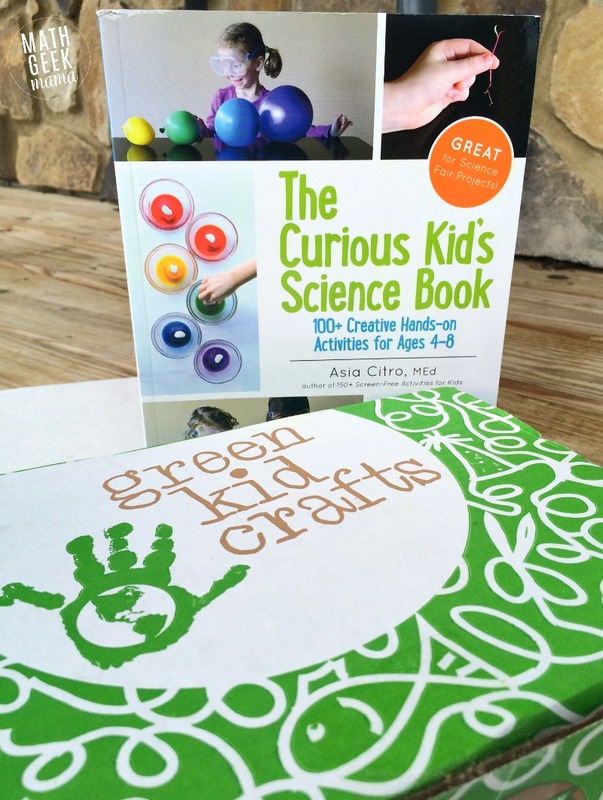 Green Kid Craft kits: these are so simple to just pull out and use together. No prep or research needed. 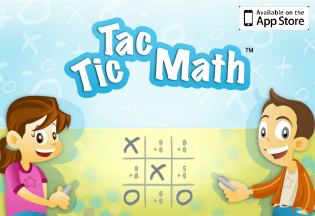 All the materials are included, as well as a simple explanation of the science. The Curious Kid’s Science Book by Asia Citro. 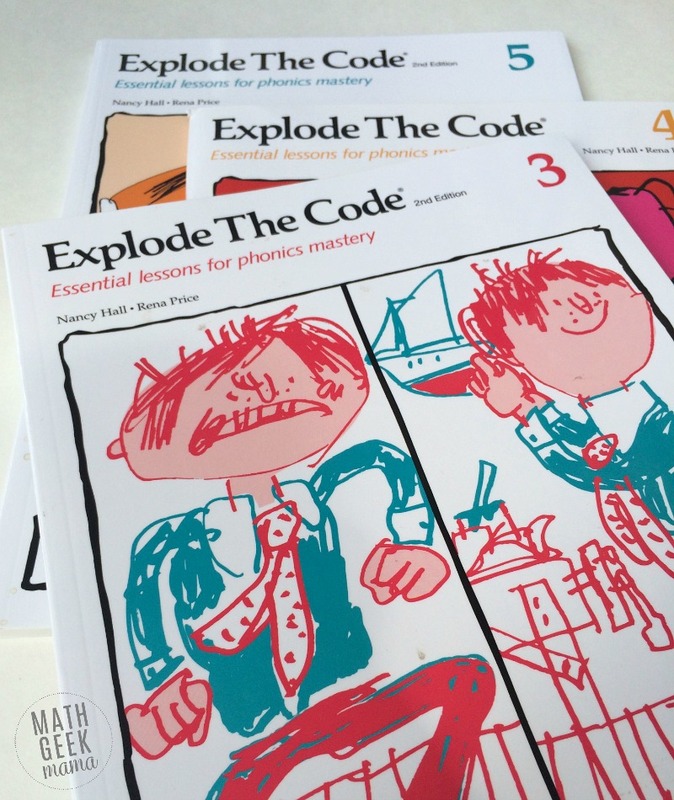 This book is PACKED with fun, hands on science lessons and explorations. And most use materials we already have around the house. Magic School Bus books and videos: my kids also love the Magic School Bus. We have a large collection of books, and they love to watch the t.v. show on Netflix. Finally, we also try to spend time each day engaging with God’s word. Sometimes this simply means reading from one of my favorite children’s bibles: The Gospel Story Bible by Marty Machowski. Sometimes, we will spend time working on scripture memory and going through their AWANA journal. And this year I also hope to complete this Missionary bible study by Kim Sorgius. I like to mix things up, so right now I’m thinking we will have “Missionary Monday” and spend a little time each week going through this study. We also participate in Bible Study Fellowship, so my two youngest kids will go to this with me each week. And I think that’s everything! Whew! We are going to be so busy, but it is such a joy to be home spending this time with my kids everyday and learning alongside them. Want to see our first grade curriculum choices? I shared this last year, but will mostly be completing the same curriculum with my son this year. What are your curriculum choices? Share in the comments! I love learning about great curriculum! Thank you for sharing! My daughter started her second grade year last week. She’s using Math-U-See, Spelling Workout, First Language Lessons Level 4, Song School Latin 2 (I cannot say enough good things about this program! ), and The Story of the World, Volume 2. She chose to focus on Earth science this year so she could study astronomy, geology, and the weather. We’ll mostly be utilizing the library and our eyeballs for those. She’s also asked for help in improving her drawing skills, so we’ll be working through Drawing with Children. 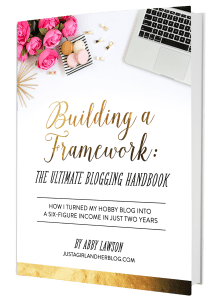 Really impressed with your blog and have found it very helpful. Thank you kindly! Hey I just happened across your page and am in complete awe! This was totally a God-thing! 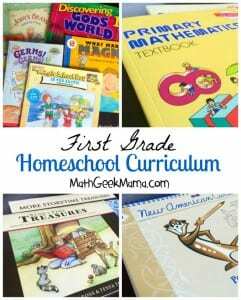 We have decided to homeschool my (will be 2nd grader) next year and I am terrified! I am not a teacher & I don’t want to be, but for some reason this is what we are feeling led to pursue next year. My daughter has been receiving a classical christian education and we absolutely have fallen in love with and are committed to continuing that. 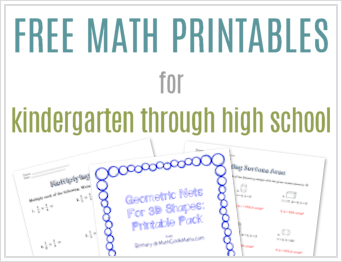 I have done some research and came across the memoria press and was thinking that’s what I would go with but also wanted to do the singapore math because that’s what she is currently learning and it has proven well for her. If you have any advice, tips, or feedback from the memoria press or homeschooling in general I would be SO appreciative! Thanks!